2013 is shaping up to be my busiest year yet (in terms of writing projects). The Fresh Fear Anthology is going well and the submissions have been of an exceptional standard. Publishing date of September (possibly earlier) is well on track for an achievable outcome. Money has been raised for the payment of contributors and is set aside until contracts have been received and the submission deadline (May 31st) has been reached. I have had favorable reviews for my latest Kindle release, 'Creep'. If you're quick enough you can get it for FREE today only. CREEP, is the first story in an exciting and gritty new psychological thriller series. Cassandra: Hunter of Darkness, is a hero to the victim and a merciless angel of death to the evil ones. A killer of killers, she strikes fear into the hearts of those who get their kicks off hurting others. 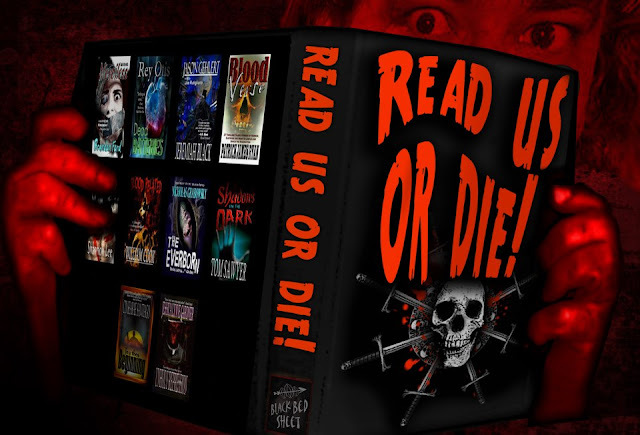 Join Cassandra on her quest for justice and revenge as she begins her journey into the dark underbelly of serial murder and takes care of business as only she knows how. 8,500 word short story + novel extract from Blood Related.
. . . and, for those of you interested in news of my sequel to Blood Related, 'Blood Trail' is half complete and should be finished by the end of August/beginning of September. I had a recent health setback (pneumonia) which put me behind schedule by about a month unfortunately. Anyway, thanks for reading and please check out the links and repost/share in as many places you can. Thanks and have a great week. Until next time. 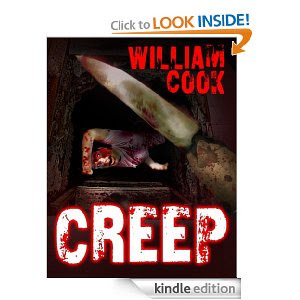 Amazon, CREEP, William Cook, Kindle, Blood Related, Black Bed Sheet Books.